The company behind space economy MMOG, Eve Online, has opened a new studio in Newcastle, UK. CCP, an acronym for Crowd Control Productions, is a game developer based in Iceland most well known for creating and running Eve Online. But the company is trying to expand. In 2006, CCP acquired the tabletop gaming company, White Wolf, in order to harness its expertise in offline game product. In August 2009, CCP announced that it was developing a FPS at a studio in Shanghai, China, called Dust 514. Then yesterday, CCP said that they are opening a new studio in the U.K. Plans are in place to hire 10 to 20 staff who will work closely with the headquarters in ReykjavÃ­k and the office in China. It was not revealed whether the office will handle game development or support such as game mastering or customer relations. CCP recently hired Robert Troughton, former employee of Midway's Newcastle studio, however, which lends credence to the fact that this new studio might concentrate on making new games. The question is: what game will it work on? Part of the deal with White Wolf was that CCP would be able to create games based on some of the tabletop company's IP. The Newcastle CCP studio may in fact begin work on a MMOG based on the World of Darkness ruleset and setting. 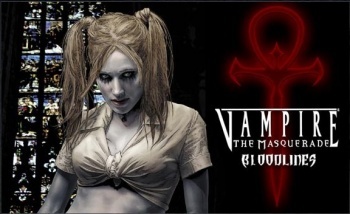 A Vampire: The Masquerade MMOG? Badass.